Disordered and Reconsidered, curated by agency for agency, is the first public exhibition of the year-long project Possible Futures at 198 Contemporary Arts & Learning. After 28 years of renting, 198 recently established themselves as the new owners of their building. To mark this significant moment Possible Futures invites curators, artists and audiences to explore the artistic legacy of 198, beginning with its unofficial archive, in order to consider possible new modes of practice and to contribute to the re-imagining of 198’s future in the arts and local community. Founded by locals Noel Morgan and Zoe Linsley-Thomas in 1988, the space was originally known as Roots Community, a West Indian social club where dominos were played, jazz filled the air, meals were shared and people came together for good times. It was in 1998 that the space became a gallery exhibiting works by black (Black, Asian and other Ethnic Minority) artists and working with schools, young people and the local community in a number of artistic and creative projects. Artists such as Fowokan George Kelly, Jaimini Patel, Faisal Abdu’ Allah, Sonia Boyce, Aya Haidar, Aubrey Williams, Susan Stockwell, Larry Achiampong and Barbara Walker have all exhibited in the gallery. Disordered and Reconsidered, is an archive exhibition that delves into the boxes, opens the press books, browses project documentation, recalls histories and names those who have worked with 198. There is an invitation to visitors to join us to explore the material, learn more about the gallery and it’s work over the last 28 years and to think through the opening of the archive, the Possible Future of 198 as it moves into this next stage of organisational development. Disordered and Reconsidered opens on the 17th June with a symposium with contributions from David A Bailey, Rita Keegan, Ben Cranfield and Chandra Frank and others exploring the importance of archives for reflection on what has been and how these may inform how we move forward. There will also be performative artist and curator responses to the archive by Delaine Le Bas and Junior Boakye- Yiadom at the opening of the exhibition on the 17th June and Amal Alhaag and Raju Rage on Saturday 18th June. Please keep an eye on the website for more details of other events and public programmes. Disordered and Reconsidered continues until the 30th July. agency for agency are a new collaborative project with artist Barby Asante, curator Teresa Cisneros and producer Jessica Harrington. All three practitioners have worked on a number of personal and collaborative projects with artists working in visual art, social practice, live art and performance. agency for agency work is about practice in relation to place, identity and notions of culture. The Disordered and Reconsidered Symposium invites artists, curators, archivists and others to join us in a dialogue to consider the context in which the gallery was formed and operates. We will reflect on archival practice in relation to the political histories that inform the gallery, it’s relationship to its locality and the wider cultural and critical landscape of the artworld. We will consider strategies on how the archive can inform future possibilities for the gallery. independent curator, writer and PhD candidate at Goldsmiths; Rita Keegan: Artist; June Givanni: The June Givanni Pan African Cinema Archive; Larry Achiampong: Artist; Kelly Foster: Cultural researcher and London Blue Badge holder; Ben Cranfield: Lecturer in Cultural Studies at Birkbeck; Amal Alhaag: Independent Curator/ Side Room Amsterdam. Exploring location, the body and the act of un/archiving curator Amal Alhaag and artist Raju Rage perform separate responses to 198’s archive. Alhaag takes us on a walking living archival experience whilst Rage invites us to explore the embodiment of the un/archive in the gallery. Join agency for agency and David A Bailey for a day of discussion, exploration, sharing and study, in the 198% disordered and reconsidered archival exhibition. This session is for emerging curators and people interested in curating, who would be interested in making an exhibition proposal to us for the final exhibition of the Possible Futures programme. It is not necessary that you have studied curating, but we are asking that people have organised no more than three exhibitions in the UK. We are especially interested in people who can bring interesting ideas and experimental approaches to interpreting materials and curating through archive. There is a £5.90 cover charge for this workshop which includes booking fee, refreshments, lunch and course materials. This event will focus on creating new Wikipedia pages about artists that have worked with 198 Contemporary Arts and Learning and expanding the ones we already have. We will provide the training that will show you how to do this using materials currently on display in the 198% disordered and reconsidered exhibition at 198 Contemporary Arts and Learning or your own resources. Join sorryyoufeeluncomfortable at 198 Contemporary Arts & Learning for an afternoon of interactive responses to the galleries archive. 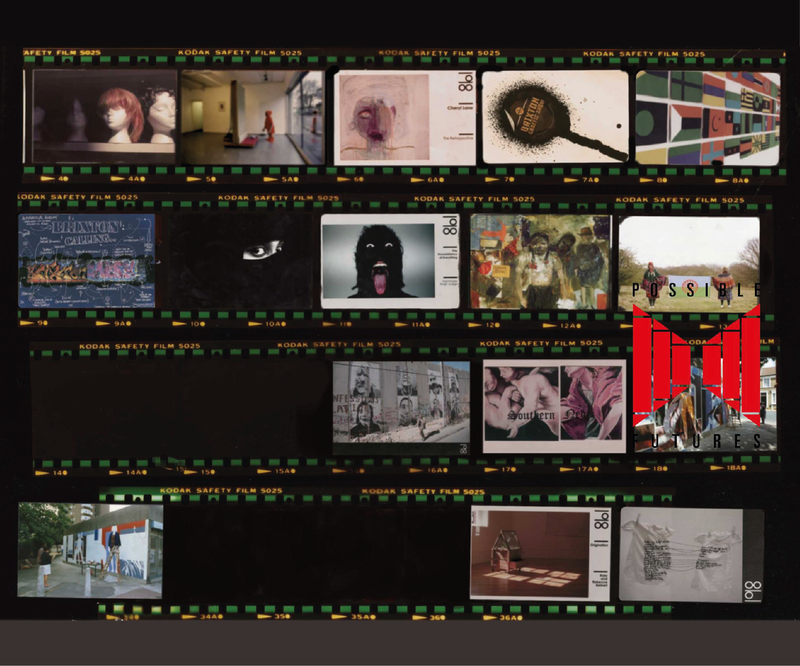 The event will begin with a screening of ‘These Walls’ (https://vimeo.com/187948310), a retrospective video piece put together by Rabz Lansiquot, which brings together parts of 198 Contemporary Arts & Learning’s extensive and recently digitised VHS archive. The film presents some of the remarkable work that BAME artists have shown in the gallery, and the influential work that has been done with the local community of Brixton, in particular making contemporary art accessible to those commonly excluded from it. In a context where creative and community spaces, particularly those centring Black, Asian and Minority Ethnic people, are few and far-between, ‘These Walls’ presents often forgotten legacies of Black British art and community work, in order to gesture towards the future. What can we learn from the great work that 198 has done over the last 28 years for BME artists and the community of Brixton? How can we ensure spaces for marginalised peoples are maintained and our voices are further amplified? How can we continue to assert that #BlackLivesMatter in contemporary art? Following the film, Zviki Mutyambizi and Imani Robinson will be running a session entitled ‘198 Lives’. Alongside independent curator, writer and PhD candidate Chandra Frank, who is “interested in uncovering hidden queer herstories, countering the archive and thinking towards decolonial modes of research and curating”, the collective will facilitate an open conversation about the legacy of 198 and the potential of archive. We examine what it feels like to experience an archive: as a beginning of a journey through memory, as historical and curated, factual and fictitious. We will explore the role of the archive – and of 198 itself – as a healing space for those who are marginalised, imagining from this standpoint a future of the archives at this present conjecture in the many lives of 198. *Disordered and Reconsidered is curated by agency for agency and is the first public exhibition of the year-long project Possible Futures at 198 Contemporary Arts & Learning.